A hot and humid Alabama evening didn't stop people from coming out to the Oak Mountain Amphitheatre on July 3rd. 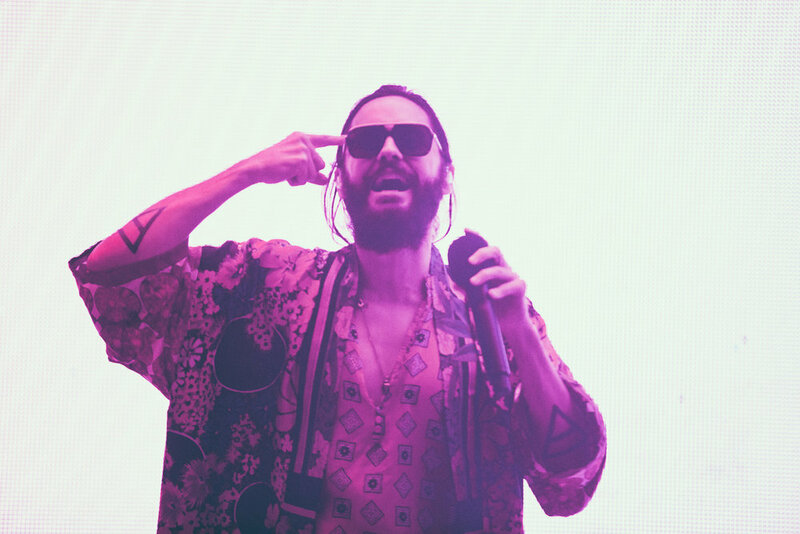 The reason is because Thirty Seconds to Mars, led by the charismatic stylings of Jared Leto, were in town to perform at the venue. 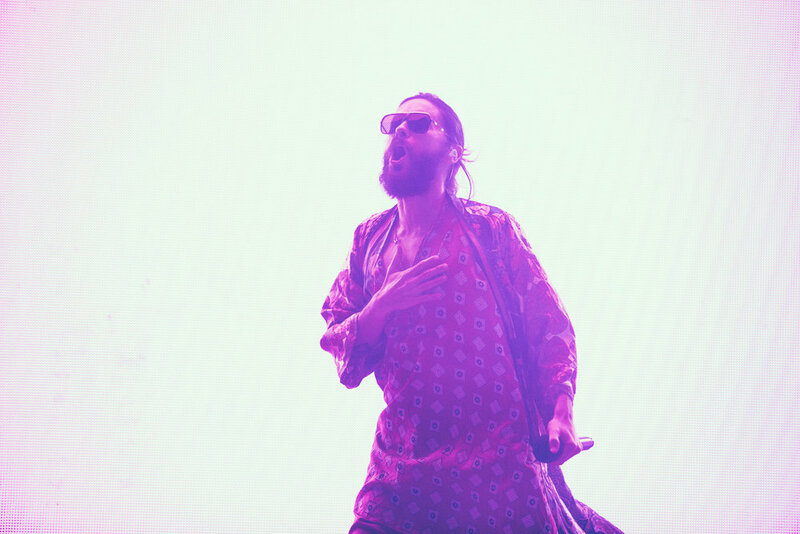 They put on a dazzling performance that was highlighted by great production, dynamic colors, and manic energy on stage. 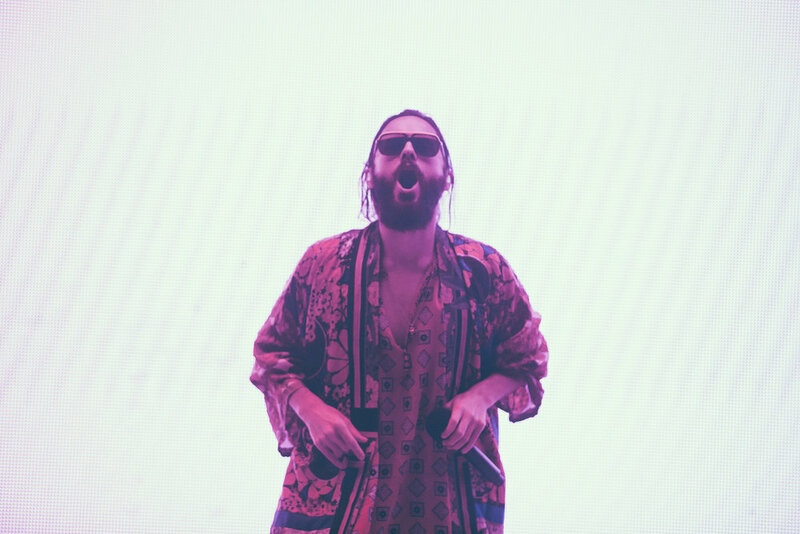 It was a great outdoor summer concert party experience with Leto serving as the master of ceremonies. 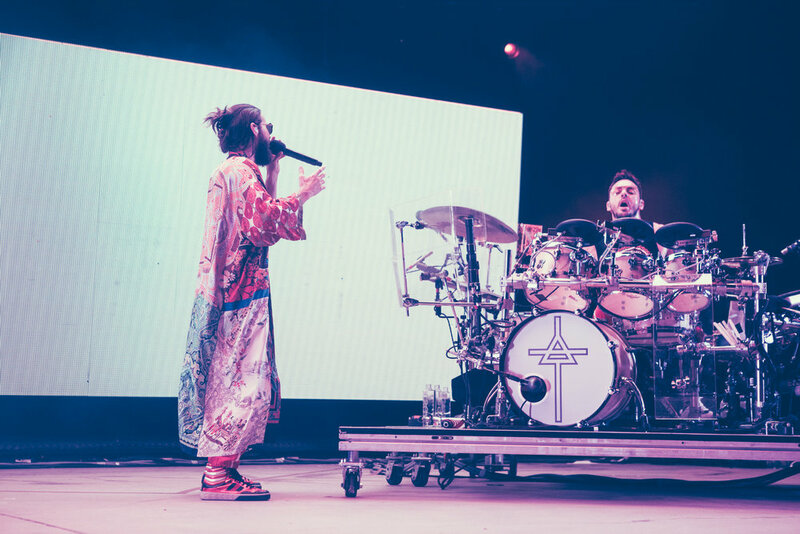 Walk The Moon opened for Thirty Seconds to Mars on this date, but I will be doing a separate post for them in the coming days. 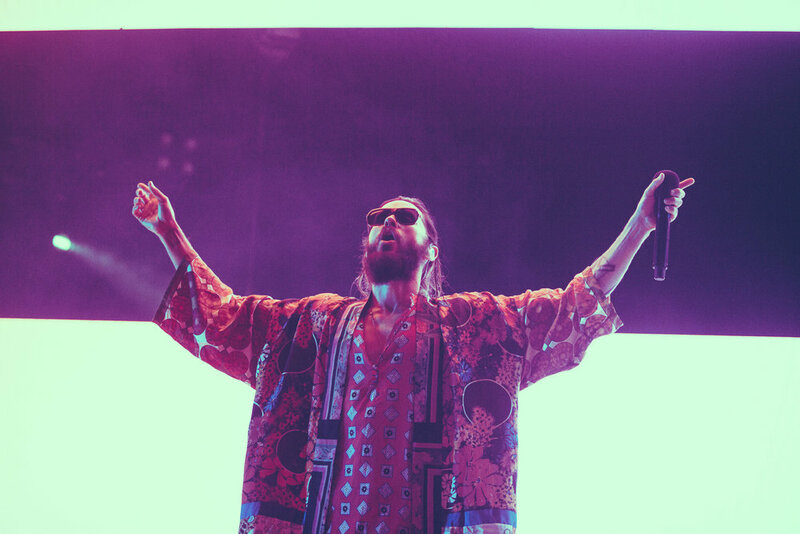 I wanted this one to really focus on the images from Thirty Seconds to Mars because I just adored the look and style of this concert. I do hope you enjoy what I was able to document. 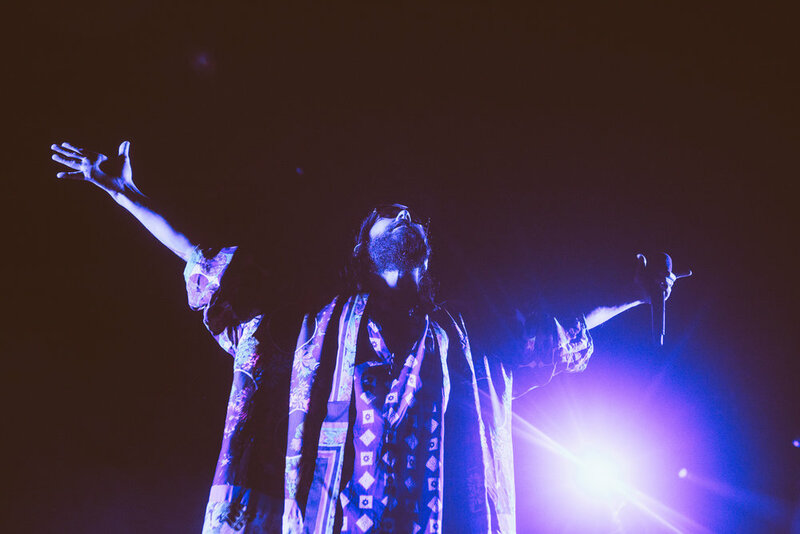 More information about Thirty Seconds to Mars, including the remaining dates on the Monolith Tour, can be found by visiting their OFFICIAL WEBSITE. Images are property of DSmithScenes. Do not use without prior approval. THAT MEANS DO NOT LIFT AND TAKE PHOTOS FROM THIS PAGE WITHOUT THE PRIOR COURTESY OF SENDING ME A MESSAGE.